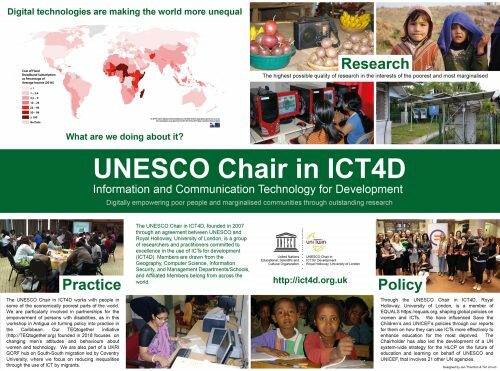 The UNESCO Chair in ICT4D began to publish short monthly briefings by members of the Chair in October 2016. These cover diverse aspects of the field of ICT4D and are intended to be thought provoking and of interest to academics and practitioners alike. This series is edited by Endrit Kromidha, and we are very happy to receive offers of contributions from affiliated members of the UNESCO Chair and others. Please use our contact page to get in touch with Endrit, to whom all briefings should be submitted. Editorial instructions for our briefings are available here, and templates for authors here.